The Auckland Regional Methamphetamine Working Group supports the intent of the proposed Health and Safety Reform Bill which aims to secure the health and safety of workers and workplaces and is particularly supportive of the increased clarity around responsibilities, and the focus on leadership, accountability, and increased training. 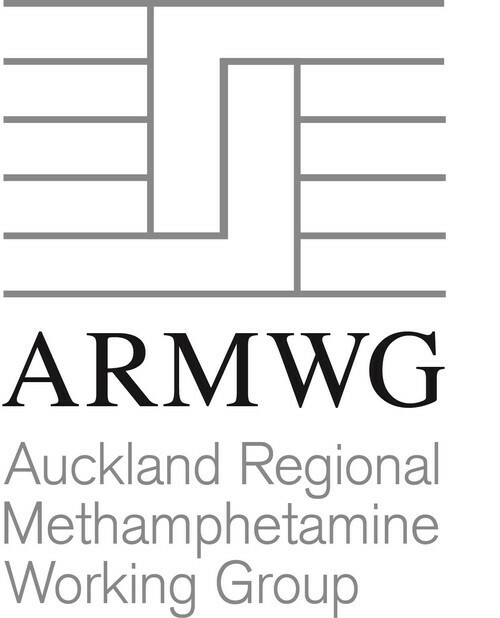 The Auckland Regional Methamphetamine Working Group (ARMWG) was established by the Community Action on Youth and Drugs (CAYAD) teams within Auckland Council and initiated by Mayor Len Brown as part of the Auckland Council ‘100 day projects P-Free Communities’ and supported by attendees at the Auckland Regional Methamphetamine Symposium held on 15 June 2011. Auckland is a city free from the influence and harm of Methamphetamine. To build a collective and cohesive evidence based approach to reducing Methamphetamine harm that motivates positive and sustained change in Auckland communities. ARMWG has 20 agency members from a range of sectors interested in methamphetamine related harm. This includes local and central government agencies, treatment agencies, businesses, forensic scientists and NGO’s across the sector. Members of ARMWG have put together the following information sheet. This information sheet has been prepared by members of the Auckland Regional Methamphetamine Working Group and is intended to provide employers with a resource to assist them to develop policies and procedures in order to protect employees against workplace exposure to methamphetamine contaminants, by-products or residuals while conducting property visits. Numerous occupations such as Probation officers, Building inspectors, Social workers, Public Health Nurses, Police officers, Plumbers, Electricians, Meter readers to name a few are involved property visits where a clan lab might be located. Mobile and partial clan labs have also been found in vehicles, so occupations that involve searching, inspecting and removal of vehicles may be at risk. This sheet may also be used to inform employees of hazards associated with clan labs and will enable them to be alerted by their own observation to potential risk situations and suggests reasonable steps to ensure their own safety. Risks associated with methamphetamine production. Health effects that can arise from exposure to meth clan lab chemicals, by-products or residuals. How to identify a meth clan lab, from indicators outside or inside a property. Recommended procedures should a meth clan lab be discovered or suspected. This information sheet is not intended to provide specific solutions to specific issues but to provide generic information that should be tailored by the individual to risk situations. New Zealand law classifies methamphetamine as a Class A controlled drug — a drug that poses a very high risk of harm — under the Misuse of Drugs Act 1975. Meth or “P” is highly addictive and abuse can lead to memory loss, aggressive behaviour, violence, psychotic and paranoid behaviour, and potential cardiac and neurological damage. Unintentional exposure to methamphetamine and the by-products of its manufacture can occur where people are living in, or frequently visit, properties formerly housing a clan lab. Contaminants absorbed by the structure and furnishings can be released for years afterwards. The manufacturing process creates significant hazards. The production of meth requires the use of hazardous chemicals, which commonly include acetone, lead, and mercury. The chemicals used are toxic to human health, corrosive (acids), explosive, flammable (solvents) and eco-toxic to the environment. The risk of a clan lab fire or explosion is high. Manufacturers of meth often have limited knowledge of the chemical hazards and little concern for public safety or the environment. Significant health and environmental risks are posed by acidic and potentially flammable fumes and waste chemical by-products produced during the ‘cooking’ process. The clandestine nature of the cooking process can result in potentially hazardous environmental contamination. Manufacture often takes place in confined and poorly ventilated spaces, with the illegal dumping of chemical wastes to land and waterways, or down kitchen sinks, toilets and into storm water drains. Both short and long-term health effects can arise from exposure to meth clan lab chemicals, by-products or residuals. These effects are dependent on the concentration, quantity, the route and duration of exposure. Chemicals may enter the body by being inhaled, consumed, injected or absorbed through the skin. Metals and salts are used in the manufacturing process – lead and mercury are particularly hazardous and can have serious multi-organ effects including neurological impairment. Should an employee display any or all of these symptoms medical assistance should be sought from their medical practitioner. Severe acute symptoms may require immediate transfer of the employee to hospital.